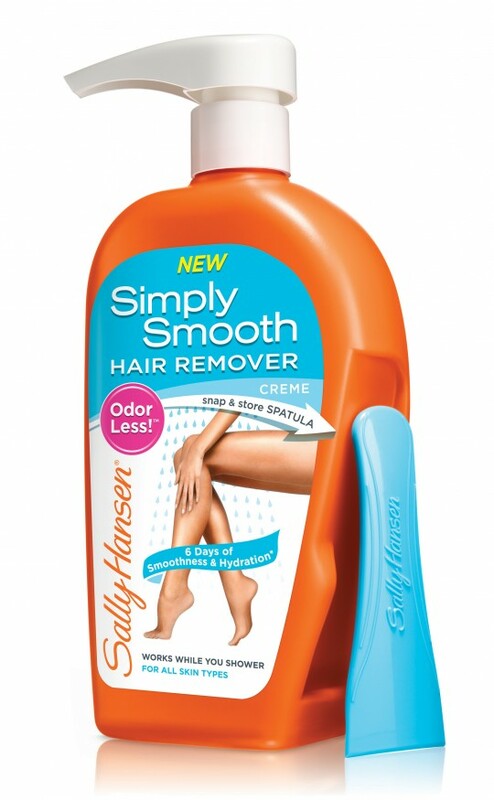 NEW Simply Smooth Hair Remover: This advanced water-resistant formula works while you complete your regular shower routine, for a mess-free, stress-free hair removal process in as little as three minutes. Simply Smooth Hair Remover delivers up to six days of smoothness and leaves your skin feeling hydrated—all without any unpleasant odor, thanks to Sally Hansen’s breakthrough Odor Less™ Technology. Formulated with aloe, vitamin E and chamomile, the formula conditions and soothes even sensitive skin. The dermatologist-tested hair removal crème comes with a built-in spatula for easy application and storage.